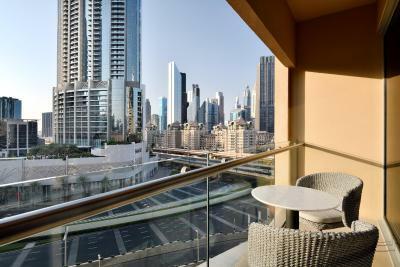 Lock in a great price for Address Dubai Mall – rated 8.8 by recent guests! Miss Khatuna was very nice, helpful and professional! 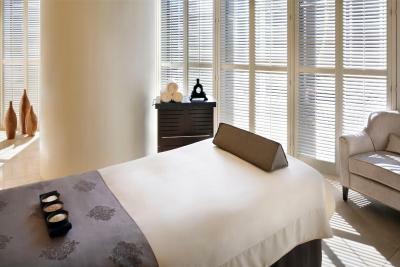 We attended the BeautyWorld Convention Show and this so far is one of our best and exceptional stays. One we will never forget. The hotel is just so amazing we do not have words to even start....but from the time we arrived and during the entire stay we are pleased with their service. 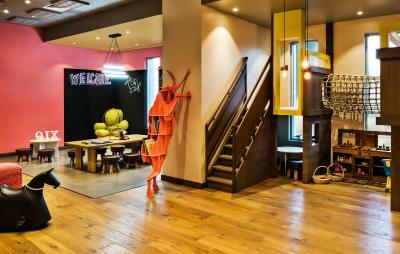 The entire hotel staffs was very welcoming and helpful. 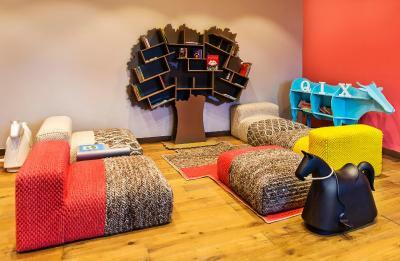 We'll surely come back and we highly recommend this hotel for the future traveler(s) to Dubai. The new renovation in ground floor & i hope they renovate the residence too. The hotel is high on cleanliness. Friendly staff. Location. The bed was very comfortable! The smell of the hotel. 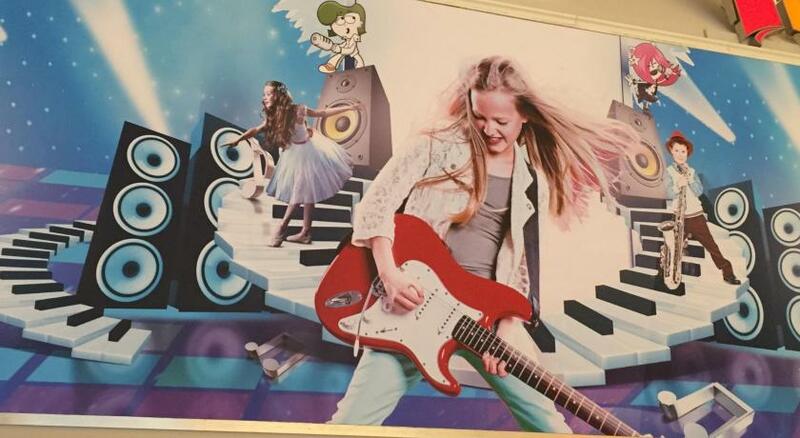 That the hotel is connected to the mall. 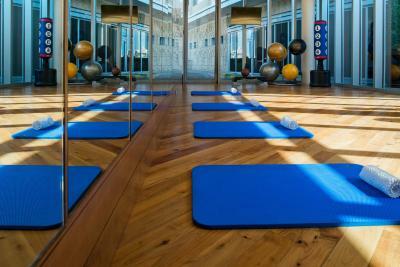 The gym. I came from Soman with me Electric Tesla Car. I liked how it’s right next to the entrance lobby when charging the car. One of the staff receptionist here name is Mariam she was very helpful and cooperative and she listens to our feedback . Thank you . Address Dubai Mall This rating is a reflection of how the property compares to the industry standard when it comes to price, facilities and services available. It's based on a self-evaluation by the property. Use this rating to help choose your stay! 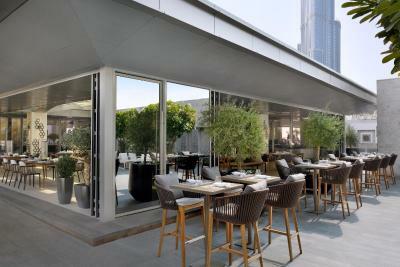 The accommodations at the Address features a balcony with panoramic view over Dubai, some of which overlook Burj Khalifa. Each one has a flat-screen TV and a mini-bar. 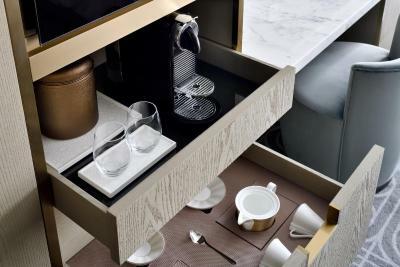 A gourmet coffee/tea station is also included. Al fresco dining experience is available to guests at CABANA, with a selection of grills and exotic cocktails. 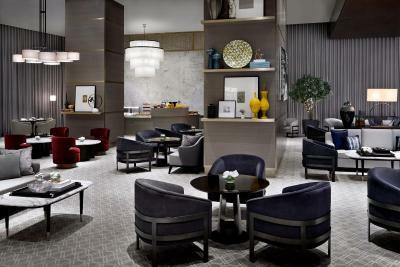 KARAT, the lobby lounge, serves snacks and sandwiches. The lounge opens until late and offers evening entertainment. 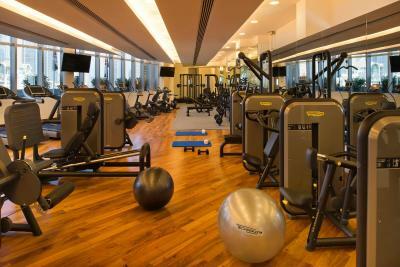 Address Dubai Mall is a 20-minute drive from Wild Wadi Water Park and Ski Dubai. 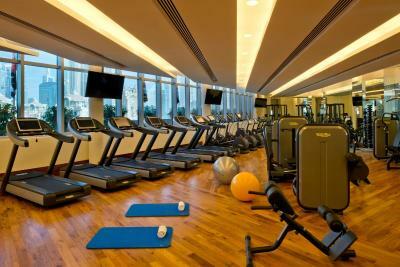 Dubai International Marine Club and the Dubai Marina Walk are 12 mi away. 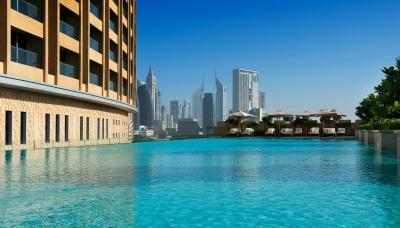 This is our guests' favorite part of Dubai, according to independent reviews. 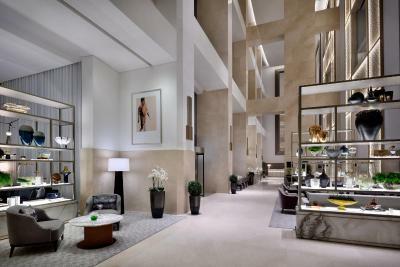 In this area you can shop 'til you drop for popular brands like Gucci, Chanel, Burberry, Louis Vuitton, Armani. 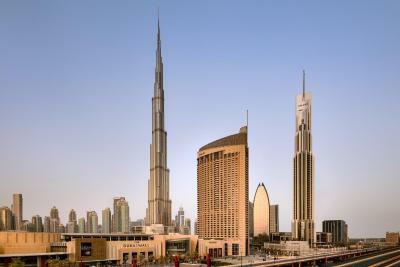 When would you like to stay at Address Dubai Mall? 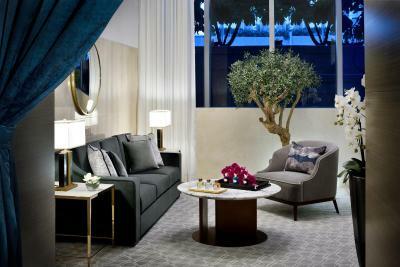 The elegantly appointed Deluxe Rooms come complete with a private balcony and full-size desk. 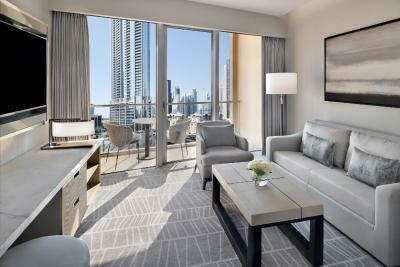 This air-conditioned room features a balcony, a flat-screen TV, iPod docking station, in-room iPad and a mini-bar. Bedding preferences are subject to availability at time of check-in and cannot be confirmed in advance. The Club King Rooms combine the quintessential luxuries of the guest rooms and suites with the added privilege of exclusive access to the Club Lounge, where freshly prepared refreshments are served throughout the day in an elegant and refreshing atmosphere. Two-way airport transfers, 24-hour check-in and check-out, and an on-demand pressing service for up to two pieces of laundry per stay are some of the other benefits that guests of these rooms. 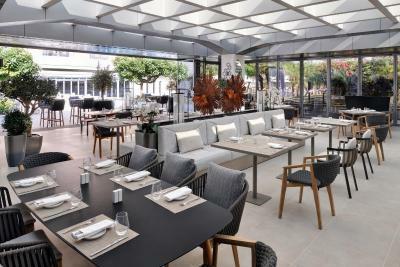 - Buffet breakfast in Na3Na3 restaurant. - Inclusive of access to the Club lounge. - Complimentary food and beverage presentations are served throughout the day and evening . - Shoe polishing and one complimentary pressing of shirt or suit. - Return transfers from Dubai International Airport and Al Maktoum Airport (please contact the property at least 48 hours prior to arrival). 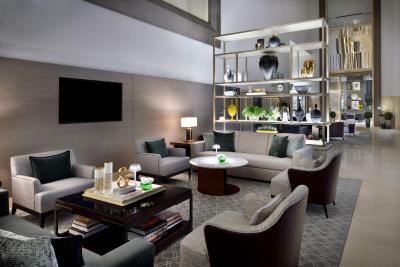 - A complete 24-hour stay benefit (available for our guests staying in Club Rooms and Club Suites only). Please contact the property at least 48 hours prior to arrival as its subject to hotel availability. Please note that Room service is not permitted to serve alcohol for this room type. Please note that Room Service is not permitted to serve alcohol in this room type. - Complimentary food and beverage presentations are served throughout the day and evening. - A complete 24-hour stay benefit (available for our guests staying in Club Rooms and Club Suites only) Please contact the property at least 48 hours prior to arrival as its subject to hotel availability. Please note that this is an alcohol-free room type. 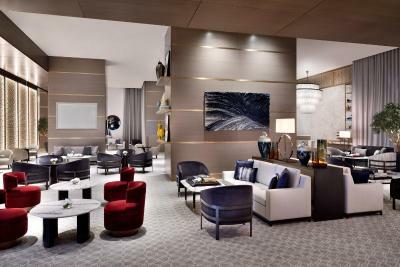 Modern interiors and a regal palette of colors and textures grace every space in the Club Suites, which feature a spacious living room and inviting dining area as well as a warm and welcoming bedroom with a king-size bed. 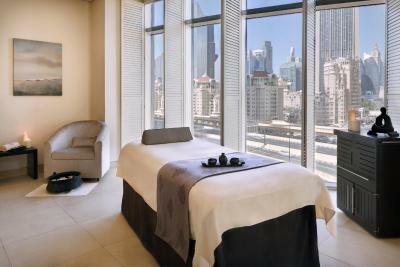 Breathtaking vistas of the city and exclusive amenities augment the experience. 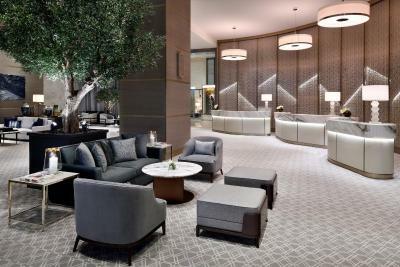 Guests of these suites are also entitled to a range of sophisticated conveniences, including two-way airport transfers, 24-hour check-in and check-out as well as exclusive access to the Club Lounge, where fine international cuisine and refreshing beverages can be savored throughout the day. 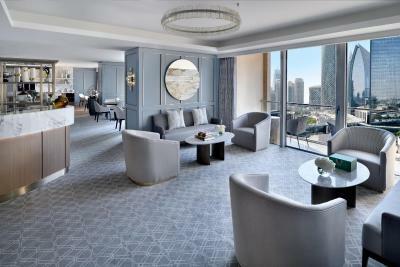 Similar to the Deluxe King Rooms across almost every facet, the Deluxe Burj View Rooms are additionally privileged with unique views of Burj Khalifa which can be enjoyed from a private balcony. The allure of these refined spaces is superbly enhanced by tasteful appointments and luxurious décor, and can be comfortably shared with friends and family via a connection to an adjacent room in some instances. 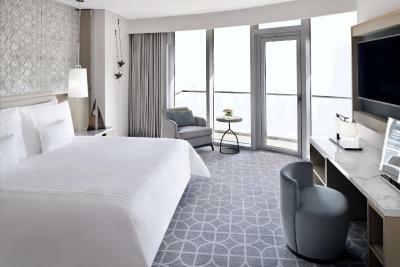 The art of refined living is splendidly manifested across the vast and exquisitely furnished Premier Rooms. 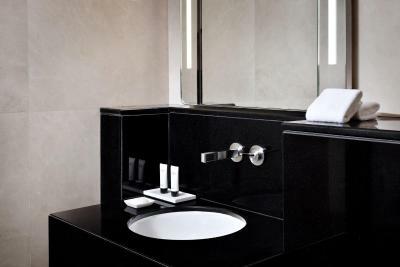 A conduit welcomes you to the bedroom, while the bathroom presents a superior standard of luxury with its elegant vanity area and intimate Jacuzzi. Magnificent views of the city capture the imagination from a private balcony, and can also be enjoyed from the ultra-comfortable king-size beds. Luxurious serenity encompasses every space in the Junior Suites, from the beautifully laid-out living room to the princely bedroom with its impressive built-in closets and king-size bed. 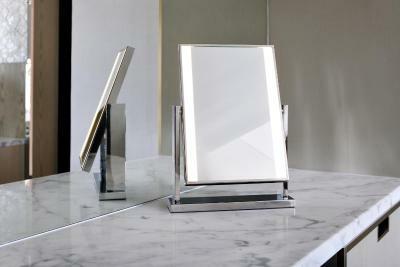 The bathroom is equally engaging with a spacious vanity area and jacuzzi-equipped bath tub. 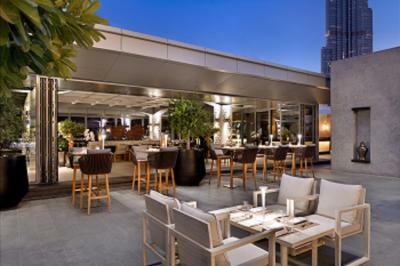 Magnificent vistas of Downtown Dubai serve as a splendid backdrop, and a private balcony offers the opportunity to marvel at the city’s ingenious architecture. Designed to be an oasis of calm, a place to rejuvenate and refresh, each of the one-bedroom residences has well-appointed, modern interiors. This air-conditioned residence offers a living room with an in-room iPad and a fully equipped kitchen. No extra bed supplement applies for a child under 12 years old. Only one extra bed can be provided in the residence. 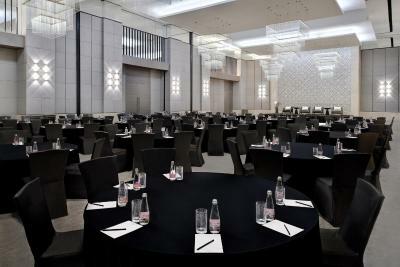 If the number of guests exceeds the maximum occupancy, an additional room should be reserved. 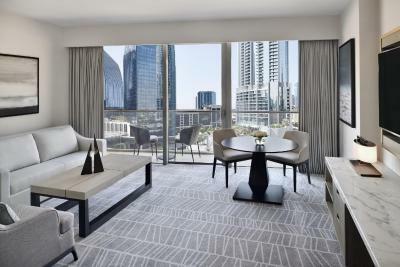 Spectacular views of Burj Khalifa and The Dubai Fountain from three impressive interconnected balconies provide a wraparound visual perspective and highlight the exquisite appeal of the three-bedroom residences. Esthetic lattice motifs inspired by classic Middle Eastern artistry complement the avant-garde interiors in every space, while sophisticated furnishings and amenities assure a lifestyle that is supremely comfortable. With a spacious living room, separate dining area and three inviting bedrooms, these premium abodes are ideal for families or groups of up to six individuals. 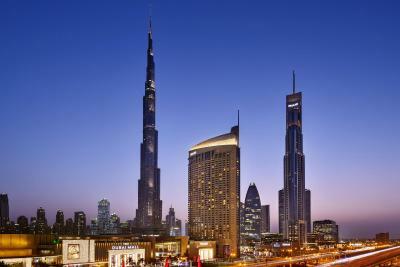 Address Dubai Mall, Downtown Dubai is a statement in style. 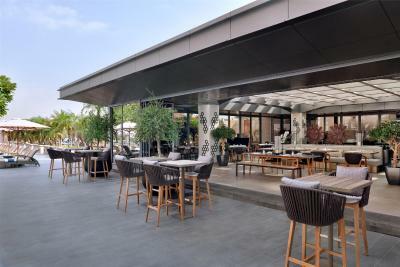 Elegant and chic, this glamorous hotel offers guests a unique blend of traditional Arab hospitality in the most contemporary and cosmopolitan environment. 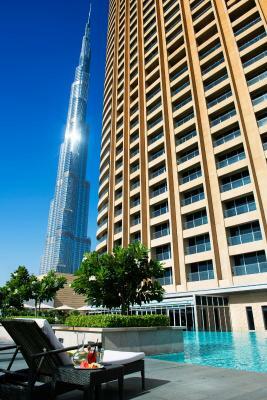 With 244 signature rooms and suites offering three upbeat restaurants and lounges, a luxurious spa and wellness facilities and convenient business amenities, Address Dubai Mall offers a quintessential luxurious experience. 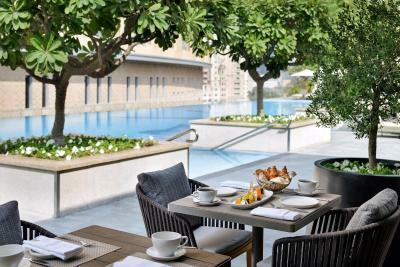 House Rules Address Dubai Mall takes special requests – add in the next step! Address Dubai Mall accepts these cards and reserves the right to temporarily hold an amount prior to arrival. The location is perfect. My room balcony has a view of the pool of the hotel. It was clean, quiet, comfortable and very modern in all aspect. Fast check in and check out ( however there was a bit of delay to enter my room as it being under cleaning ) despite I came late for the check-in time, however, that gives me a great time to spend in Dubai mall, and upon coming back, my luggage already is being inside the room. 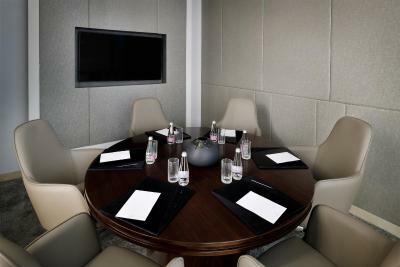 The room is spacious and controlled all over with technology. The bed was very comfortable (almost missed my flight as I do not want to wake up). The bathroom was super. Not aware about the dinner voucher and i found difficulty of accepting the voucher in the hoter resturant it self. And some of them ask me to come to the resturant by my self. And show them the voucher. The only thing we had a minor problem with is the hot water was not working properly. Very helpful and friendly staff. Kudzai at check in was extremely helpful.